This digital collection features a reproduction of the Annie R. Stuart diary (MMS-1454), which describes the life of an Ohio schoolteacher while her husband was serving in the Civil War. A transcription of the diary is also provided. A photocopy and microfilm version of the original diary, along with a written transcription, can also be accessed at the Center for Archival Collections. View the item catalog record. 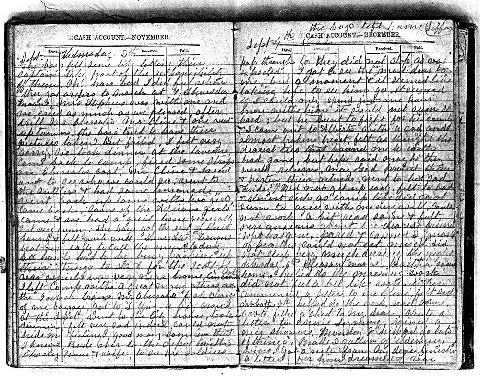 In this diary of a Republic, Ohio schoolteacher, written while her husband and brother were serving in Union Army during the Civil War, Annie R. Stuart describes her activities. This includes school teaching, courtship, and marriage as well as domestic chores.